"I’ve always had a surprising amount of respect for Rupert Murdoch and Roger Ailes." 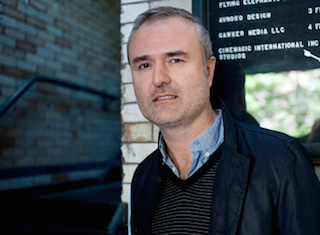 Gawker founder Nick Denton gave a wide-ranging interview with Time in which he discussed everything from Peter Thiel to the misogyny of internet comments. For the entire piece, click through. Below are some highlights. I think as long as readers—whether they admit it publicly or not—as long as readers have a hunger for true, critical, funny stories about how the system works and about the concentration of money and power in modern society, as long as they have that appetite, then a site like Gawker.com is going to have a continued purpose. Maybe because I was gay, I grew up hating open secrets. Usually if someone’s gay it’s a pretty open secret. Their friends know, their family knows, but out of some misplaced sense of decency nobody talks about it. Generally my view is that, let’s just have it out. The truth will set you free. I’ve always had a surprising amount of respect for Rupert Murdoch and Roger Ailes. I respect publishers and media executives who’ll put out good, true, provocative stories and deal with the blowback. I liked the original Elizabeth Spiers Gawker. I like in particular the way that the humor was delivered. I liked the way that she writes intelligent pieces with witty asides, clearly marked.